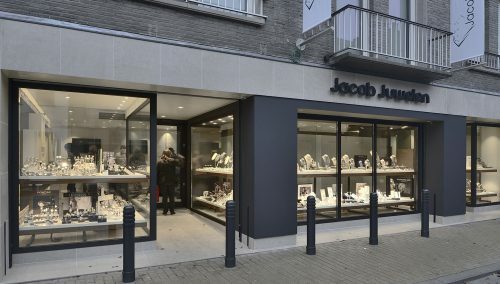 Luyten Juwelen in Turnhout (Belgium) has undergone a complete metamorphosis. As part of a stylish design, three shop buildings have been merged together to create a single store offering a personal and charming experience. The materials used are understated and chic. 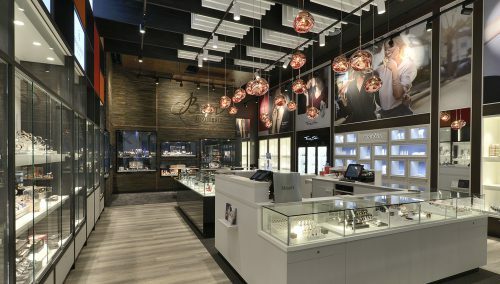 Team WSB provided the shop design and turnkey store interior for Luyten. Juwelencentum Luyten has been a fixture in Turnhout and far beyond for over 67 years. Terms such as customer friendliness, service, trust and craftsmanship are more than mere words to us. An expert team of experienced staff is always on hand to welcome you to our pleasant store. Our own (covered) car park also ensures easy access for motorists.